Latest events in Delhi: Get enthralled by Cirque du Soleil latest production BAZZAR which is going on in the capital city after a winning show in Mumbai. Delhi, the capital city is known for its ever charming historic beauty and equally startling pop-culture. This city undoubtedly boasts reasons to entertain its people which is why, today, Delhiites are always never-settling for anything less. We people crave for a complete entertainment package shrouded under different layers. Experiencing cultures, visiting to trendy festivals, looking for musical evenings, or going for creative theatre shows -Delhiites are always in quest for creating beautiful memories with their loved ones. This is one reason why Cirque du Soleil brought its BAZZAR to Delhi after a hit show in Mumbai. Yes, a world leader in live entertainment, Cirque du Soleil, has already arrived in Delhi with its latest production BAZZAR. As Cirque du Soleil BAZZAR is in the capital city to cast its spell through its mesmerizing performances, the premier show on December 24 witnessed Indian actress and comedian Mallika Dua. That's our favourite @MallikaDua gracing the @Cirque #BAZZAR red carpet in Delhi. The last show of this epic theatrical BAZZAR is on January 20th and the iconic Big Top tent awaits you at GMR Aerocity for the most exhilarating show with a joyful troupe of acrobats, dancers, and musicians. With most of the shows sold out and new shows added on popular demand, Cirque Du Soleil BAZZAR has been the talk of the town ever since its entry to India was announced. Cirque du Soleil comes to Delhi for the first time after entertaining over 190 million people over 450 cities across the globe. For all the movie-goers, here's an interesting piece of advice for you! If you have loved the magic spelled in theatre by Ved (Ranbir Kapoor) in the film Tamasha, the Cirque du Soleil BAZZAR already lists in your must-watch live shows. The conceptual roles played by artists, the pop of colours, sound modulations -everything seems magical and represents a whole different world which you wouldn't want to come to an end. Cirque du Soleil, founded in the year 1984, is a Canadian entertainment company and the largest theatrical producer in the world. Recognized all across the globe, Cirque du Soleil has constantly sought to evoke imagination, invoke senses and provoke emotions. 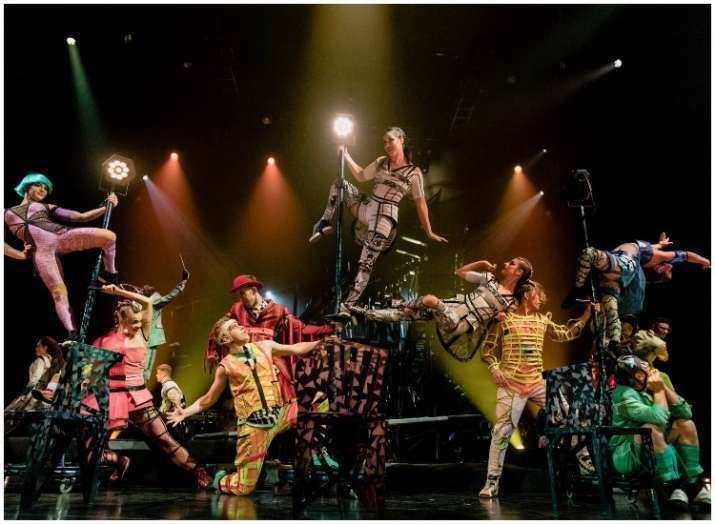 The Cirque du Soleil latest production BAZZAR is an eclectic lab of infinite creativity where a joyful troupe of acrobats, dancers, and musicians craft an awe-inspiring spectacle. Lead by their maestro, they band together to invent a whimsical one-of-a-kind universe. In a place where the unexpected is expected, the colorful group imagines, builds and invents vibrant scenes in an artistic and acrobatic game. Come and claim your place amidst this marketplace of merriment and creative camaraderie. You just might find that the end of the story is really only the beginning! The high-energy excitement, collision of sounds and colours, and meeting place of diverse characters you’d find at a traditional ‘bazaar’, inspired the name of the show. So what are you waiting for? Discover the highly creative and artistic show BAZZAR from Cirque du Soleil now in Delhi.